"Planning for Growth: Could It Be Time for an ERP Upgrade?" 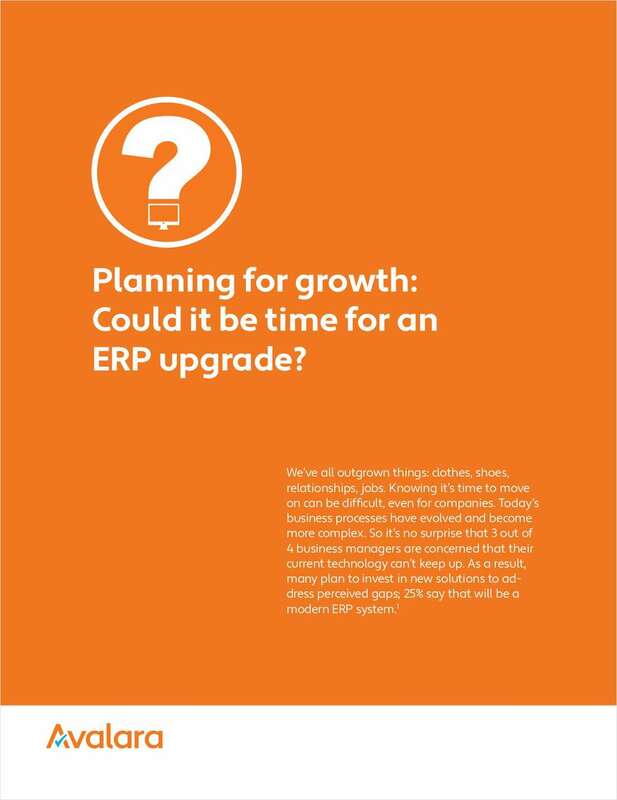 Free White Paper: "Planning for Growth: Could It Be Time for an ERP Upgrade?" We've all outgrown things: clothes, shoes, relationships, jobs. Knowing it's time to move on can be difficult, even for companies.